The Rockland County Nam Knights Motorcycle Club led by Charlie Maushardt, is a nonprofit organization made up of military veterans, police officers and firefighters who volunteer their time to raise funds to help local children and families who are in need. 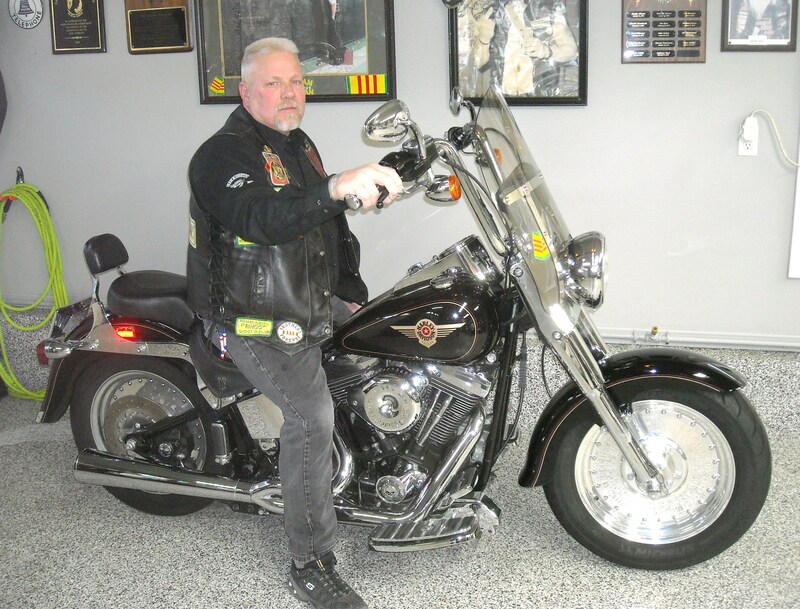 Our Unsung Hero of the week is Charlie Maushardt, a Vietnam War Veteran, the President of the Rockland County Nam Knights Motorcycle Club and recipient of the 1995-1996 Rockland County Veteran of the Year Award, plus a 2013 New York State Senate Veterans’ Hall of Fame honoree. Every Memorial Day, on the end of the Piermont pier or along the ridge of the Palisades, massive logs are piled nearly three stories high and are lit for 24 hours. They symbolically light the way home for those soldiers who have died in all wars and conflicts of the US. The Rockland County Vietnam Veterans started the tradition of watchfires on the pier in 1987. The use of watchfires originated with General George Washington, who would light bonfires along the ridgeline of the Palisades to warn his soldiers of the movements of the British Army in the Hudson Valley. He finally used them to signal the ceasefire and end of the Revolutionary War. Charles ‘Charlie’ Maushardt is a life-long resident of Rockland County. Upon graduation from Tappan Zee High School in 1969, he joined the US Army. After basic training, he served in Vietnam from 1970-1971. For his service, he was awarded the National Defense Service Medal, Vietnam Campaign Medal, Vietnam Service Medal and one Overseas Bar with Star. Maushardt has been a member of several local veterans’ organizations including the Vietnam Veterans of America, serving as president from 1992-1994, the Raymond DeMeola VFW Post #1615 in Blauvelt and the John Perry American Legion Post #1044 in Sparkill. For his service to these organizations, Maushardt was honored by the Rockland County Veterans’ Coordinating Council as the 1995-1996 Rockland County Veteran of the Year. The next Rockland County Nam Knights Motorcyle Club event is a spaghetti dinner fundraiser on April 28, 2018 from 1-6 p.m. at the Hillcrest Firehouse in Pomona. For additional information, call Charlie Maushardt at 845-359-4005.